This weekend, make it your mission to learn more about history, Bermuda’s ecology and art with stops at these four museums and galleries. You might visit the Bermuda Aquarium Museum and Zoo with your family regularly, but how often do you pass by the central museum without taking an in-depth look inside? The ivy covered walls hold a wide array of interesting exhibits on the natural history of the island. Bermuda’s natural history is heavily influenced by our geography as an isolated island, giving rise to many endemic species as we are so cut off from the rest of the world. Visit the museum to chronicle the volcanic beginnings of Bermuda, and discover how human settlers have influenced Bermuda’s landscape, flora, and fauna. The museum boasts habitat displays for each of Bermuda’s unique ecosystems on-island, from mangrove small-fish nurseries, to wind-blown rocky shores where seabirds nest. In addition, the museum also displays various dry and wet specimen collections, including marine animals, insects, mammals, and mollusks. BAMZ is open every day (with the exception of Christmas Day) from 9:00am until 4:00pm, and entrance to the museum is included in your entrance fee to BAMZ, $10 for adults and $5 for children and senior citizens. This charming little museum in St. George’s Featherbed Alley is home to a replica Gutenburg Press, one of the earliest printing presses, notable for its use of tin type, which produced high quality text suitable for printing books on a large scale. The small museum is actually located in the former servants quarters of Mitchell House, which holds the St. Georges Historical Society Museum. It is dedicated to the history of Bermuda’s first printing business, The Bermuda Gazette, owned by Joseph Stockdale. When the capital of Bermuda moved to Hamilton in 1815, the newspaper moved too, which subsequently lead to the closure of the business following the boycott of the newspaper by disgruntled St. Georgians. Every Wednesday there is a tour and demonstration of the printing press, between 10am and 2pm. The museum admission fee is $5 for adults and $3 for children. In 2012 the Green family became the owners of the Hamilton Princess, Bermuda’s oldest hotel. They pledged to invest at least $50 million into the hotel, which they regarded as one of Bermuda’s greatest tourism assets. You wouldn’t expect a hotel to make the list of Bermuda museums, but it’s the Green family’s influence that makes this hotel so interesting – the family are art collectors, and what better place to house their vast collection than a hotel? The collection includes an impressive oeuvre of classical as well as contemporary painters. Walking through the halls, you can find works from Matisse, Picasso, and Magritte, as well as an extensive pop art collection – boasting works from Banksy, Andy Warhol, Speedy Graphito, Takashi Murakami, Jeff Koons, Damien Hirst, and Yayoi Kusama. If you’re not the biggest art fan, or even find yourself puzzled by “modern art,” there’s something for people of all aesthetic tastes to revel in. Some of the works are interactive, inviting visitors to play with them, and other are optical illusions that will captivate and entertain you, even if you have no artistic background. You can wander the hotel and find all the pieces by yourself, or take part in a guided tour open to the public on Saturdays at 10am. Verdmont is a museum inside and out – it’s a property built in the 17th century, now owned by the National Trust, and populated with artifacts from that time. 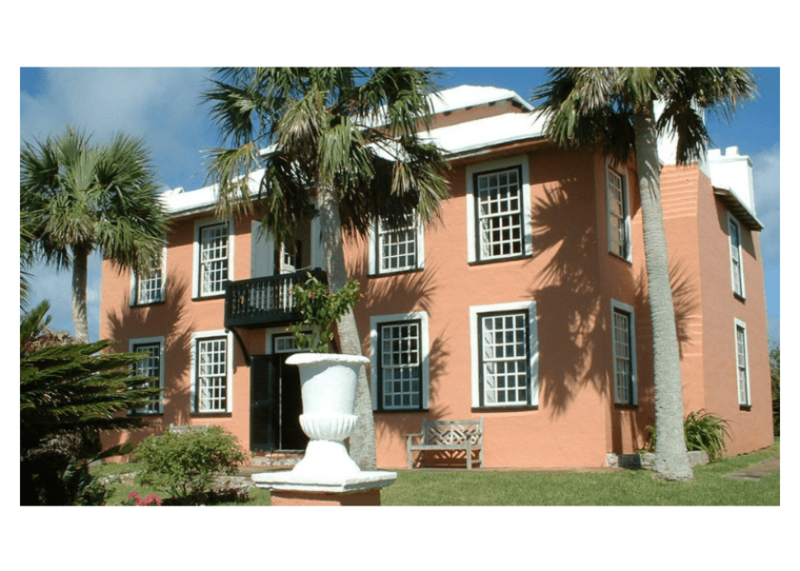 It has remained virtually unchanged for 300 years, preserved as an architectural marvel, and a window into historic Bermuda. The surrounding property includes several heirloom cedar trees, magnificently overlooking Smiths parish. It also includes several low limestone walls, an outhouse, and a citrus orchard with trees that were planted when the home was first built. Inside the house, many portraits of the previous owners are preserved, as well as historical artifacts such as carved cedar furniture, English and Chinese porcelain, and toys, blankets, and clothing from a child’s nursery. Entrance is just $5 for adults and $2 for children, and opening times can be found on the National Trust website.